Writing a long-ish story (yes, there’s still plenty more) made me contemplate some of the timeless themes of storytelling. As you know, we’ve been in a flashback for a while up until today. I was a journalist in a previous life, and the essence of my job was combining (hopefully true) stories people tell me with other facts I find into a large (once again, hopefully true) story. From my experience, flashbacks are a terrible way to tell a story in real life. This comic just gets more and more adorable. 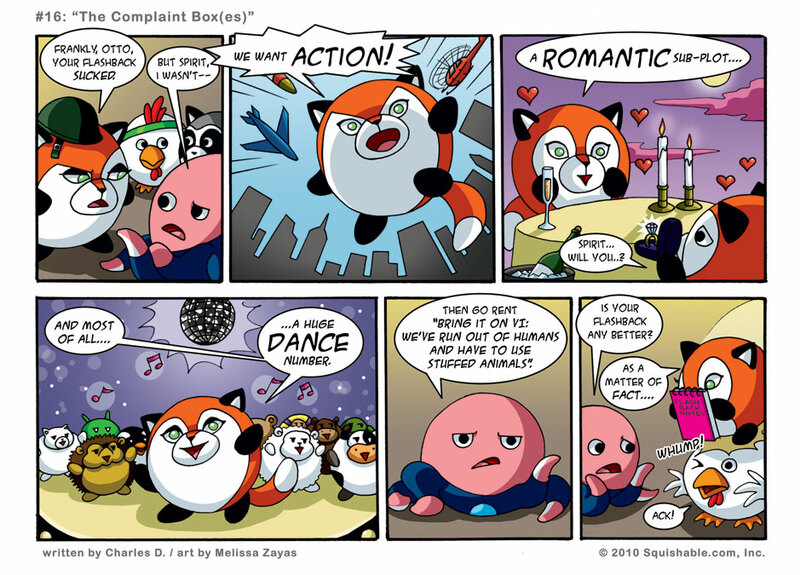 Now I sort of want to see a big Bollywood number with Squishables dancing and singing. I see the Android in the background! 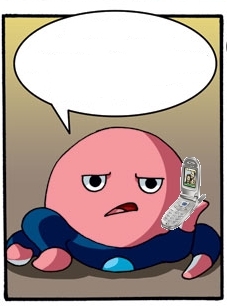 Hee. Omg! a hedgehog squishable! its adorable! btw im new and i have to say this comic rocks! I dunno–I think we can safely skip the huge dance number. I don’t think so. I’d like to see a dance number.